While our allotment of advance tickets has sold out online, additional tickets will be available to purchase at the door each night of the show, first come, first served. Nominated for 11 Academy Awards and winning for Best Picture, Best Actor (Marlon Brando), and Best Adapted Screenplay, Francis Ford Coppola’s influential mafia masterpiece The Godfather remains the gangland epic against which all others are judged. 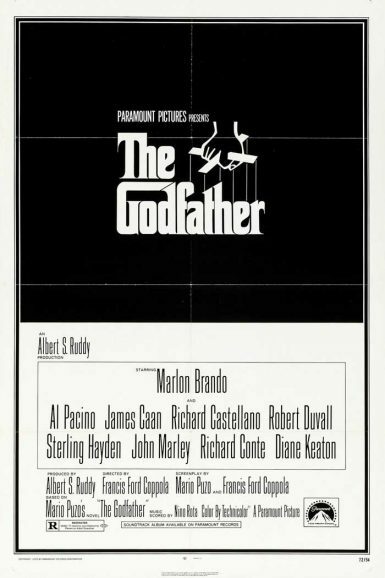 Based on Mario Puzo’s bestseller, the film tracks a violent decade in the Corleone crime family, including patriarch Vito (Brando) and sons Sonny (James Caan), Fredo (John Cazale), and Michael (Al Pacino), while tracing the moral arc of the once-reluctant youngest heir as he ruthlessly rises to power. 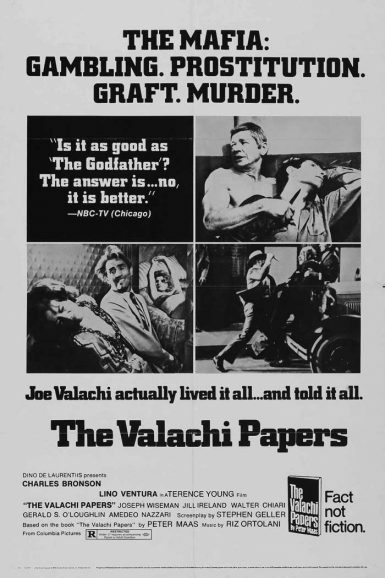 Based on the bestselling book by Peter Maas, The Valachi Papers tells the explosive true story of Joe Valachi, member of the violent Genovese crime family turned government witness. Based on real life interviews and riveting Senate testimony, the film breaks the mafia’s code of silence to expose the dark underbelly of the Cosa Nostra, including gambling, prostitution, graft, and murder. Charles Bronson stars with direction by frequent James Bond helmer Terence Young (Dr. No, From Russia with Love).